In a quest to cut/limit sugar and in general eat a little healthier, I have been adapting my diet to be more paleo-esque. I don’t know that I could ever or would ever want to go totally paleo because I love cheese too much, but when I can cut a corner here and there and aspire to paleo-ness I like to do it. Typically, low-carb or paleo adaptations of things are good if you’re lucky but a far cry from the original item you know and love. I have to say that this is most definitely NOT the case with this banana bread! 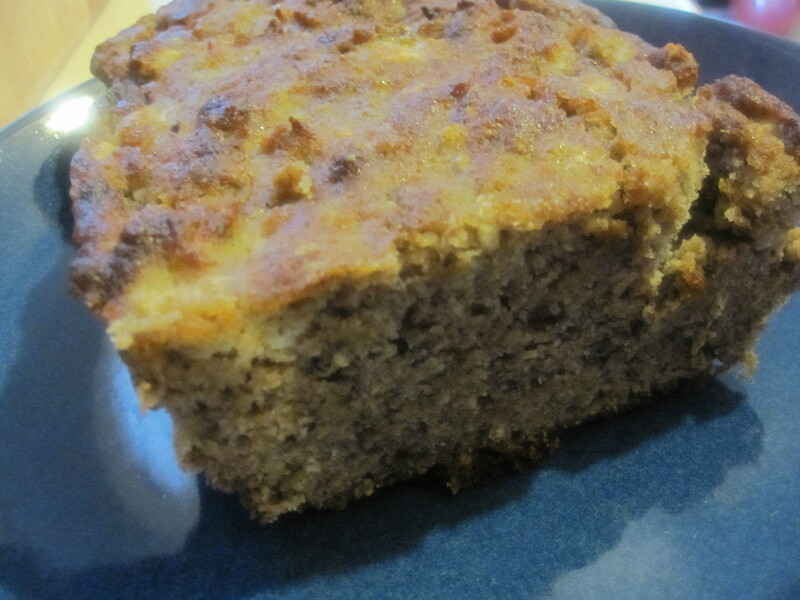 It is really delicious and holds together quite well despite having no flour in it. 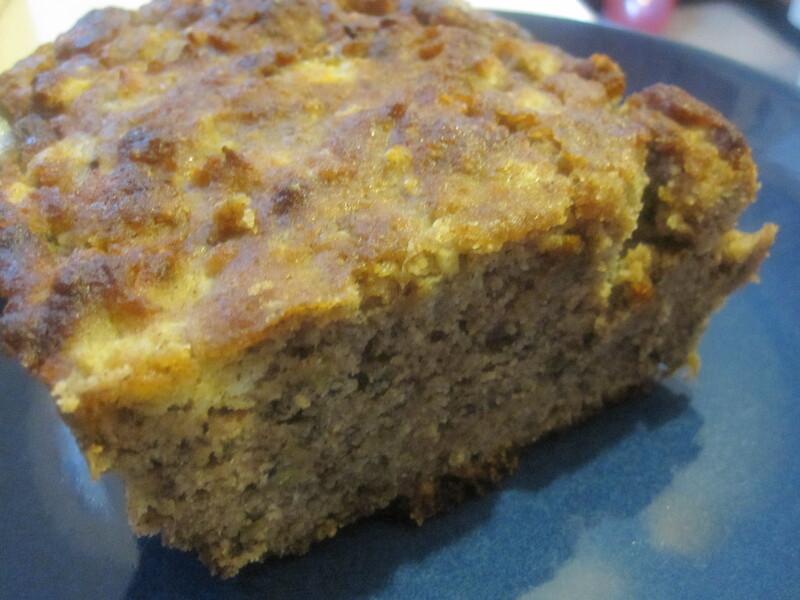 I think I even like it better than traditional banana bread! In the future I’d like to take this recipe and adapt it to a carrot cake bread or maybe an apple/cranberry bread… who knows. I recommend eating this bread straight up, with a nut butter of your choice, or toasted with a smear of coconut oil, as seen in the pic above. This bread was also well loved by our 18 month-old, making it toddler approved. Pour batter in prepared pan and bake for 45-55 minutes or until set in the center and a toothpick comes out clean. Let cool in pan for about 15-20 minutes before removing to a wire rack to cool completely. I made this bread twice in a span of about 4 days and one tip I have in regard to the recipe has to do with the coconut oil. It’s probably because it is so cold out, but the first time I made the bread I added the coconut oil to the liquids and by the time I had everything else measured and was ready to mix the wet ingredients to the dry, the coconut oil had become a solid again. It became like dry candle wax, so I had to like break it up and try to evenly distribute it, but it was very chunky. 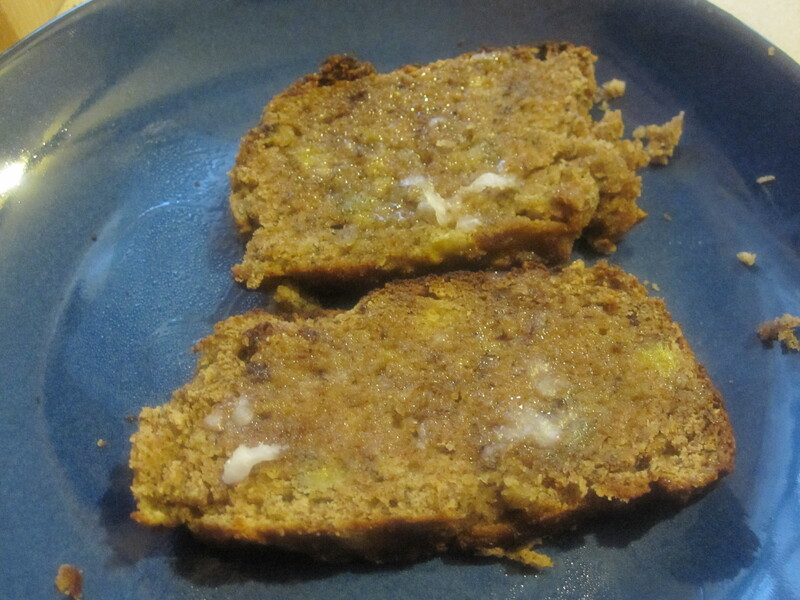 The second time around, I mixed everything together except the coconut oil and before pouring into the baking dish, I heated up the oil, added it and mixed it in so it would be consistent throughout the bread. I suppose in the summer this will be a moot point and I can’t wait for that! This entry was posted in Desserts, Uncategorized and tagged almond flour, banana bread, breakfast ideas, coconut flour, coconut oil, flourless, low carb, maple syrup, no flour, paleo, peanut butter runner, snack ideas, toddler. Bookmark the permalink.